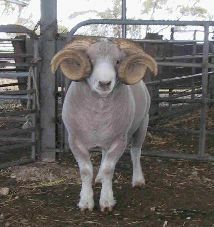 The dorper is a hair sheep that was bred in South Africa by crossing Blackheaded Persian sheep with Dorset Horns. 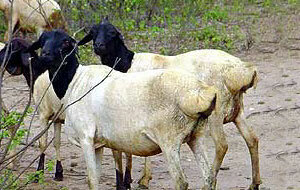 A solid black head, giving them an unusual appearance, often accompanies their solid white bodies. Dorpers are highly fertile. They can lamb three times in two years. They are adaptable to a wide range of climates, from hot and dry to humid and cold. 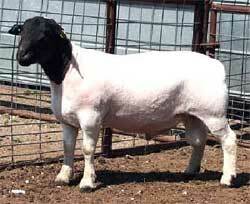 Although they put on wool in cold climates, they shed in warm weather and don’t require shearing.